Shipping magnate. Naval veteran. Bootlegger. Cattle rancher. Joseph Hobbs was all of these things – and, to boot, one of the leading lights of the 20th century Scotch whisky industry. Iain Russell tells the story of no ordinary Joe. Joseph William Hobbs was the ‘Great Gatsby’ of the Scotch whisky world: everyone had a story about him, but his past was clouded in mystery. Who was he? Where did he come from? And how did this whisky industry outsider acquire the business contacts required to become one of Scotland’s leading distillery owners? Only sketchy details exist of Joe’s early years. It seems that he was born in Hampshire in 1891, and emigrated with his family to farm 480 acres in British Columbia. During the First World War, he returned to the UK and served in the Royal Navy aboard a destroyer, before becoming an airman. After the war, he joined the Canadian naval reserve with the rank of Lieutenant Commander. There is a story that Joe found work as a salesman for Gilbey’s during the 1920s, but the evidence for his involvement in the drinks business is somewhat hazy. Except, that is, for his involvement in the shipment of Scotch and other spirits to Prohibition-era United States. As president of shipping company Hobbs Brothers Ltd, Joe owned the cargo ship Lillehorn, the sleek steam yacht Stadacona and a fleet of smaller vessels such as the Naden and the Hurry-on which were involved in running booze into California during Prohibition. The ships were often given unpronounceable new names, such as Kuyakuzmt, to confuse the US authorities, and they were involved in the transport of many hundreds of thousands of cases of whisky and other contraband to the California during the 1920s. The liquid cargoes were not only shipped from Canada and Mexico. Geoffrey Cousins’ official history of William Teacher & Sons recounts how, during the 1920s, the Scottish firm sent tens of thousands of cases of Teacher’s Highland Cream in quart bottles to Antwerp, where they were loaded on to the Lillehorn and shipped via the Panama Canal to the west coast of the US. The whisky was then transferred from the mother ship to speedboats and other small vessels, and smuggled ashore for distribution to local bootleggers – the standard modus operandi adopted by Hobbs for delivering his shipments to Californian customers. No-one knows how much money Joe made from his whisky ‘re-exportation’ business during the 1920s, but we do know that he had other, more respectable commercial interests. For example, he was vice-president of a Toronto firm of stockbrokers, GA Stimson. That firm was involved in one of the most spectacular Canadian building projects of the 1920s, raising the finance for the construction of the famous art deco Marine Building in downtown Vancouver. When it opened in 1930, the Marine Building was the highest skyscraper in the British Commonwealth. Unfortunately, its opening coincided with the onset of the Great Depression and it proved almost impossible to fill the building with commercial tenants. Stimson & Co went bust in 1933; Hobbs lost a fortune, and the precocious entrepreneur had to look to pastures new. After the repeal of Prohibition in 1933, American companies rushed to secure supplies of Scotch to import legally to the US. Hobbs and two partners, Hatim Attari and Alexander Tolmie, set up Associated Scottish Distillers (ASD) to help them out. The new firm worked closely with Train & McIntyre, a Scotch whisky company that had recently become a subsidiary of the American conglomerate, National Distillers. In 1936, ASD acquired Glenury Royal Distillery in Stonehaven, buying Glenlochy and Bruichladdich a year later. Glenesk, Fettercairn and Benromach were added in 1938, and Train & McIntyre transferred Strathdee to ASD’s management. Glenesk was converted to a grain distillery (renamed Montrose) that year, to ensure supplies of grain whisky that were independent of the dominant player in the grain whisky market, The Distillers Company Ltd. 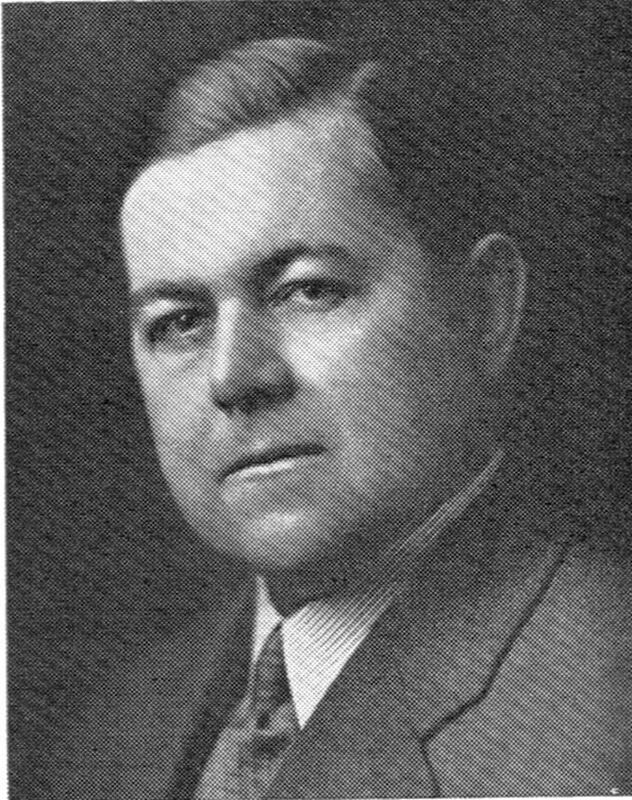 Under Joe’s leadership, ASD had become a major force in the Scotch whisky world, and supplied vast quantities of blended Scotch for the US market. Unfortunately, the outbreak of the Second World War in 1939 led to shortages and disruption to production, and the firm was unable to exploit its assets to the full. After the war, the group was broken up, and National Distillers sold Train & McIntyre to DCL in 1953. Undaunted by the stalling of his latest whisky venture, Hobbs returned to the fray after the war. He was convinced that large multinational companies such as DCL, Seagram and Hiram Walker were working to establish a cartel, to drive entrepreneurs like him out of the Scotch whisky business. Much of the rest of his life was spent in challenging the might of these industry giants. Joe, like some others, feared that the Scotch Whisky Association (SWA) was dominated by the multinationals and no longer represented the interests of small independent firms. In 1952 he was the driving force in the formation of the Independent Scotch Whisky Association, a rival trade organisation which, under his charismatic chairmanship, became a thorn in the side of the SWA. At the same time, he set out to re-establish a business that was not reliant on fillings from the industry’s giants. First, he returned to the acquisition trail. During the 1930s, he had set up a company called Macnab Distilleries as a vehicle to acquire and operate the Glen Mavis Distillery. The sale fell through, but Joe kept the company name. In 1955, Macnab Distilleries acquired the Ben Nevis Distillery, once associated with the famous Long John brand. Joe installed a Coffey still and began making both single malts and grain whiskies there. He claimed that by blending his whiskies on site, and allowing them to marry for long periods in the wood in his warehouses, he was able to produce superior blended Scotches to those of his competitors. In 1956, Macnab Distilleries purchased the Lochside Brewery in Montrose, and Joe built a grain and a malt whisky distillery on the premises. Once again, he was able to make, blend and bottle his own whiskies, without relying on any other company for fillings. His was a truly independent whisky company. Joe was not only famous in Scotland as a whisky baron. In 1944, he bought the grand Inverlochy Castle and its vast estates in Inverness-shire. He captured the imagination of schoolboys all over the country when he set up the Great Glen Cattle Ranch there, and brought cowboys to the Highlands. He retained his love of the sea, and his steam yacht Torlundy (an old landing craft which he converted after the Second World War) became well-known along the West Coast of Scotland. A later acquisition, the Ocean Mist, was acquired a few years before his death in 1963. It is now serving as a floating restaurant in Leith. There is no evidence that Joe was ever involved in gun-running, so only one question remains: did he really shoot down a Zeppelin?